I was asked why I wrote about the contract in Contract & Contagion. The short answer is that I did my undergraduate degree in Sociology, and whatever anyone says, its persistent disciplinary object has always been the social contract. The answer to do with why I wrote about it at the time I did, in the way that I did, is that before I wrote C&C, I sat down and re-read everything I’d written. As self-preoccupied as that might seem, it nevertheless meant that I would reflect on what had been important to me, and what of that felt like a constant irritant to my thinking. Having been lucky enough to be in an undergrad student in a Sociology department that encouraged my fascination with not only the history and philosophy of science but also the more unorthodox variants of Marxism, I embarked on a doctoral thesis on the emergence of Sociology as a discipline in Australia. In that (some of which appears here), the link between the social contract (as Sociology’s object) and the wage contract was clear enough. Hence that doctoral thesis begins with Sociology’s object and goes on to explore its conditions of emergence in the international flows of money and class re/composition. What is, however, remarkable is the extent to which multiculturalism continues to be idealised as a way of managing the exercise of ‘difference-in-unity’ that the nation-state at certain moments requires without, presumably, having to resort to either violence or criminalisation. Which is to say, it was precisely alongside the much-touted apex of multiculturalism as official state policy in the early 1990s that the policy of automatic and extrajudicial internment of undocumented boat arrivals was introduced. In that moment, internment camp sat comfortably alongside tributes to Australia’s diverse cultural mosaic, just as the most recent regime of border controls around the world were ushered in along with the ‘globalisation’ of trade and finance. For if multiculturalism was initially tendered as a better form of governance at the time of lengthy wildcat strikes by migrant workers in the early 1970s, this is because it offered an improved means of assimilating certain differences while criminalising those that did not align with the imperatives of national labour market formation. This is what the paradigmatic post-Fordist border has sought to realise: the filtering of antagonism into competition, difference into niche markets, and the recapitulation of an ostensible consensus over the nation as household firm vying for position in the world market. And it is on these questions that the part of the Left which retains some commitment to notions of class struggle has been either silent or expressed its bewilderment. Coming just days after the introduction of the ‘Workchoices’ policy (which principally seeks to restrict, if not entirely abolish, any remaining non-individuated work contracts), the inclination here has been to understand recent events as a distraction, much like racism – and indeed sexism – are routinely theorised as the diversions of an apparently otherwise unified class consciousness. While all of these are crucial in illustrating the significance of the border to the labouring experience, they are not quite sufficient to explaining the force of that relation, its acquiring a necessary disposition. To put this another way: the particular – which is to say, capitalist – nexus between labour and border comes about because the asymmetrical wage contract only acquires the semblance of a contract through the delineation of the figure of the foreigner. Put simply, without the foreigner, the notion and practice of the social (or wage)contract – as a voluntary agreement between more or less symmetrical agents – falls apart. There are three aspects worth considering here, and certainly in more detail: the conversion of the chance encounter into naturalised ‘origin’, the transformation of imperatives into individual choice, and the punctuated temporality of the contract which normatively distinguishes wage labour from slavery. Secondly, the contract functions as the conventional mark of capitalism’s distinction from feudalism, asserting that individuals have the power to organise their lives, against the pressures of inherited inequalities, if not strictly as a matter of will, then at the very least, as performativity. The contract is a theory of agency and self-possession. It formally asserts indeterminacy (or freedom) by explaining and rationalising the substance of any given contract as the result of a concordant symmetry. Consider here the Australian Government’s ‘Workchoices’ policy that aims to replace ‘collective’ wage rates and conditions in particular occupations with individual contracts – that is, it is an instrument which seeks to generalise the conditions of precariousness that have existed outside the perimeter of the post-WWII ‘settlement’ referred to earlier. Responding to charges that this amounted to the reintroduction of coercion, since refusing to sign an individual work contract would entail not having the means to live, the Prime Minister responded: ‘Everyone who wants a job will have one.’ For the Prime Minister, the existence of coercion does not refute the contractual nature of waged work; it merely obliges a reassertion of contract theory. 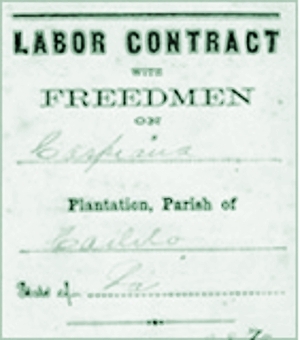 Thirdly, while the punctuated duration of the wage contract customarily distinguishes wage labour from slavery, the ‘normal working day’ was always demographically and geopolitically rationed. Cronulla did not simply represent ‘middle Australia’, but also the ‘normal working day’. Seen from outside this limited perspective, borders have long operated as a form of detainment, beyond which the conventional (and perhaps simply Fordist) delineation between the time of life and that of work is suspended. In this sense, the distribution of racism (and sexism) is also the distribution of a particular temporality. Yet, today, the ‘regular’ tempo of work more closely approximates the temporality of slavery (and, not least, of housework), in that no firm distinction operates between the time of working and not working or, better: in the sense that unpaid labour time is laid bare as the condition of capital and the linear time of progress comes to a standstill. The question then is, as it always was perhaps, how unpaid labour (or exploitation) is distributed, as well as whether it is counted or not. The Cronulla pogrom was as much about space, belonging and property as it was about relative advantage: about who is counted and who is detained, who might be said to possess one’s labour such that they might contract for its sale and who might be said to be a slave.